We are excited to announce that our 24th Annual Gelatin Olympics raised $37,000 for the Children’s Hospital of Philadelphia with the help of American Heritage Credit Union! On June 14, 2017, we were greeted with a beautiful day to slide into gelatin after months of hard work. Over 130 sliders gathered pledges from sponsors in the weeks leading up to the event, dressed up in their wildest costumes, and took the plunge into a pool full of 1,000 gallons of bright red gelatin. 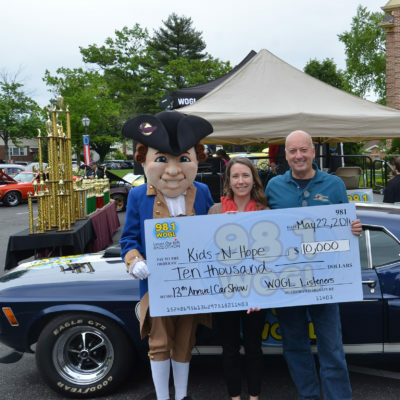 We had our friend Bill Taffrow, Morning Drive Co-Host on 101.1 MORE FM, back to emcee the event, and brought tremendous enthusiasm and hometown flair for the audience. In addition to the Ultimate Gelatin Slide, we had other games and activities such as the Gelatin Eating Contest, Balloon Toss Contest, and Gelatin Seek and Find. 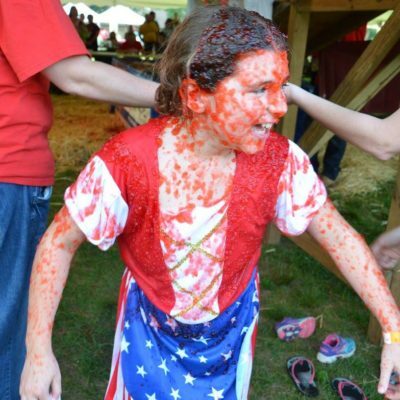 For the past twenty-four years, the Gelatin Olympics has raised donations to benefit the Music Therapy Program for the developmentally disabled children at the Children’s Seashore House of the Children’s Hospital of Philadelphia. 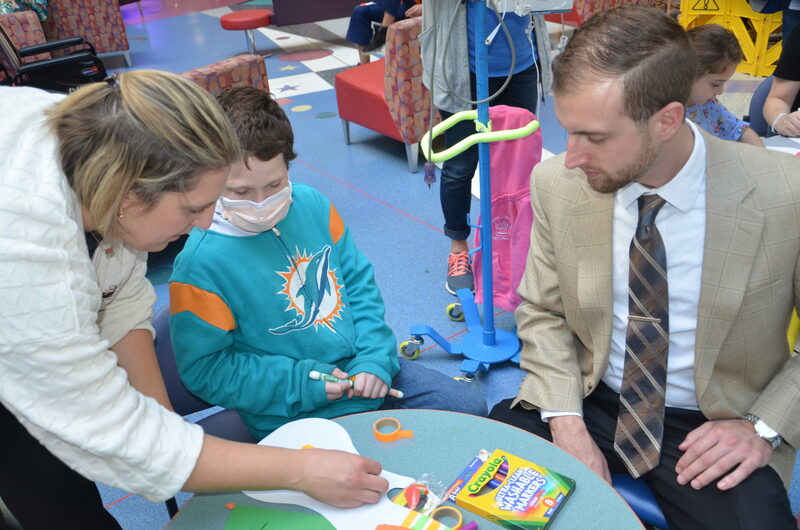 With the support of the Foundation, the hospital can meet the emotional and physical needs of these special children. We also support local area hospitals within our Workplace Partner Program. We would like to thank all the sliders and business partners that made this event incredibly successful! We hope to see you in your zaniest costumes covered in gelatin next year. If you’d like to see photos from this event, click here. To learn more about the Kids-N-Hope Foundation or to donate to our cause, click here.